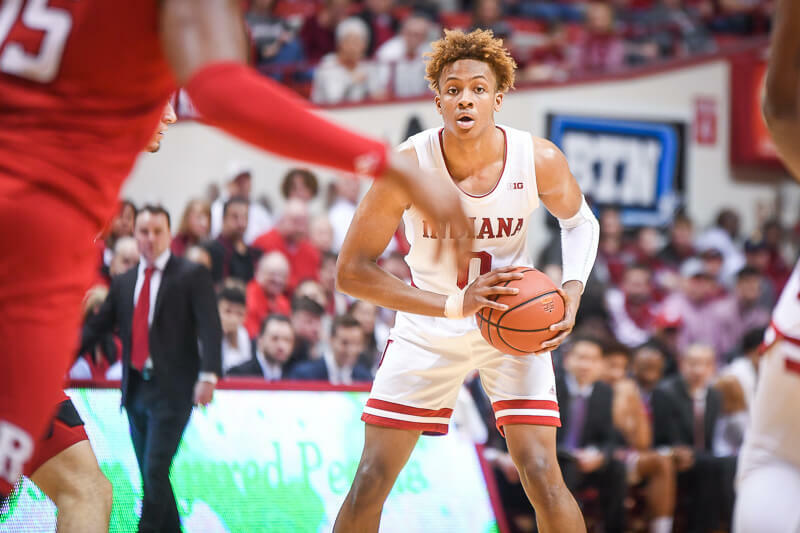 Indiana will look to bounce back from Wednesday’s loss to Seton Hall in the Gavitt Tipoff Games on Sunday evening when South Florida comes to Bloomington. It will be the second of four games for Indiana in the Hoosier Tipoff Classic. Three games into the 2017-18 season, there aren’t a ton of positives to glean from Indiana’s start. The Hoosiers were blown out at home by Indiana State to open the season and then beat Division I doormat Howard by nine just two days later. In its first road test of the season, Indiana kept it close for a half before being blown out in the second 20 minutes by Seton Hall at the Prudential Center in Newark. 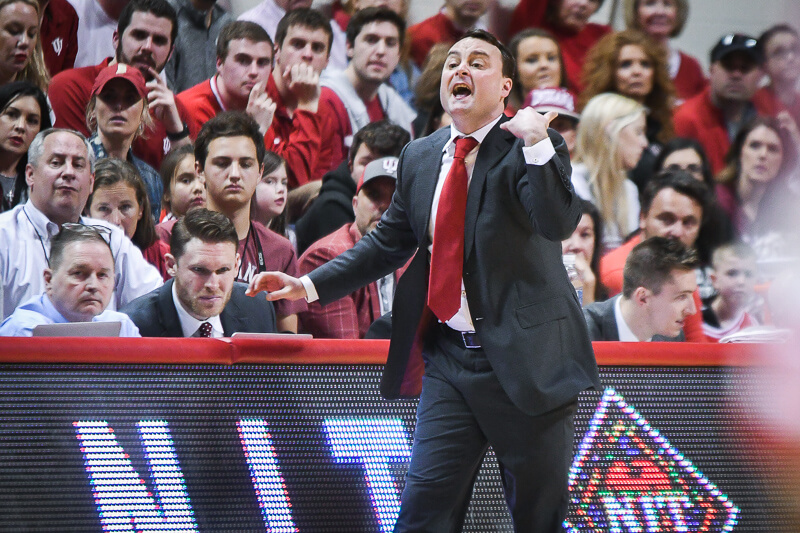 In a season of transition under first year coach Archie Miller, Indiana doesn’t have much time to fix its issues. An unforgiving schedule, which includes a pair of early December conference games, doesn’t have the cupcakes that Indiana has feasted on in the past. This upcoming three-game stretch, which includes contests against South Florida, Arkansas State and Eastern Michigan in Bloomington, is an opportunity for Indiana to gain some confidence before this five-game gauntlet arrives: Duke, at Michigan, Iowa, at Louisville and Notre Dame on a neutral court. 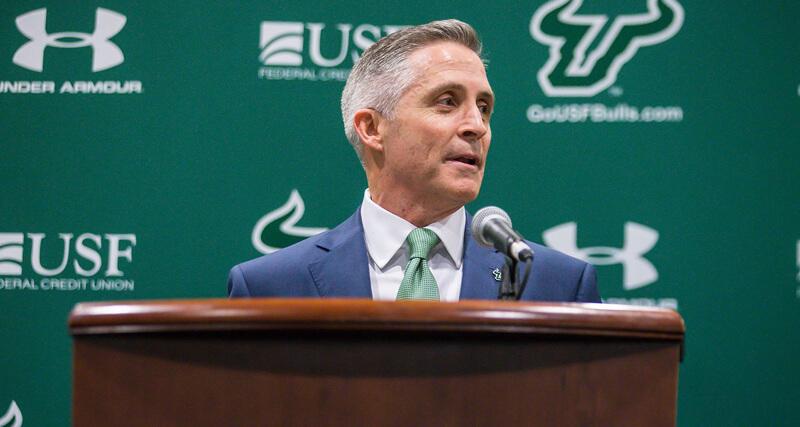 After three awful seasons under Orlando Antigua, South Florida hired Brian Gregory in March. Gregory, who was at Dayton before Archie Miller and then spent five seasons before being fired at Georgia Tech, spent last season working as a consultant for Tom Izzo at Michigan State. Gregory has a tall task ahead to lift the Bulls to respectability in the American Athletic Conference. South Florida was picked to finish last in the league this season and is starting three graduate transfers. All three starting guards for South Florida are seniors and all are new to South Florida’s program. Two of them – Payton Banks and Terrence Samuel – played at Penn State last season. Samuel is the team’s second leading scorer through three games at 12.3 points per game. The 6-foot-3 guard is shooting close to 56 percent from the field and has taken 16 free throws in three games. He also has 17 assists, six steals and just four turnovers. Banks, who started 13 games for Penn State last season and averaged 10.2 points per game, is the team’s fourth leading scorer at 10 points per game. Stephan Jiggetts, who transferred from Farleigh Dickinson, has been high usage and low efficiency through three games. The 6-foot-1 guard is using 25.3 percent of the team’s possessions and is shooting just 35.5 percent from the field. A pair of freshmen – David Collins and Justin Brown – come off the bench to provide backcourt and wing depth. The headliner in the frontcourt is redshirt sophomore Tulia Da Silva, the team’s leading scorer and rebounder. The 6-foot-7 forward is averaging 14 points and seven rebounds through three games. The Bulls are splitting time at the five between 7-foot-2 junior Nikola Scekic and 6-foot-11 junior Malik Martin, who comes off the bench but is the more productive player of the duo. Martin is averaging 6.3 points and 3.7 rebounds in 20 minutes per game. South Florida comes to Bloomington with wins over Florida Atlantic (home) and Stetson (road) and a loss to Morgan State (home). In terms of style, South Florida’s deliberate tempo and inability to force turnovers both stand out through three games. The Bulls are averaging just 68 possessions so far, which ranks 344th nationally in terms of pace, according to Ken Pomeroy. They’re also only forcing an opponent turnover percentage of 12.7, which ranks 332nd nationally. That number bears watching as Indiana enters Sunday’s contest with a 22.7 turnover percentage thus far. For Indiana, figuring out a way to guard the 3-point line is a major key to showing some progress defensively. Through three games, the Hoosiers are allowing opponents to shoot close to 51 percent from distance. At his radio show on Thursday night, Miller stressed the importance of his team continuing to progress in the pack line defense. 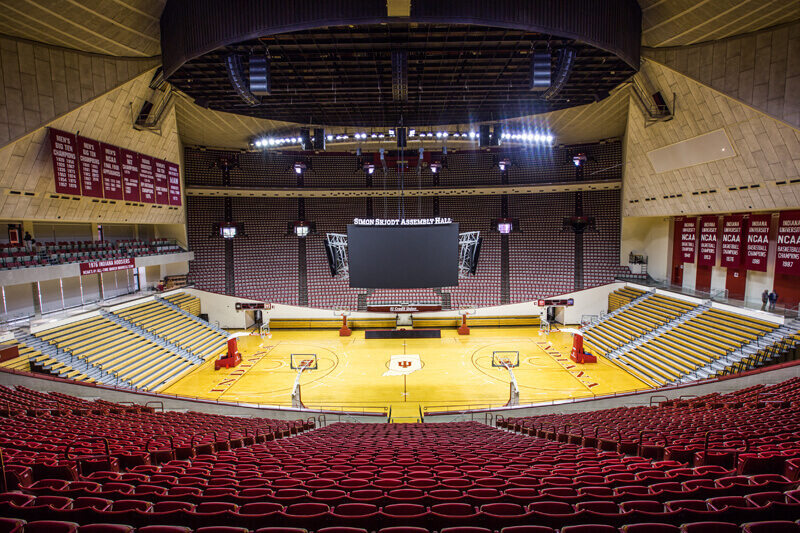 The Pomeroy projection is Indiana by 13 with an 89 percent chance of an IU win. Sagarin likes Indiana by 17. As we’ve seen thus far, these numbers mean little when attempting to forecast how this Indiana team will play. The Hoosiers were a big favorite against Indiana State and were blown out and only beat Howard, a bottom 20 Division I team, by nine. Even though it’s early in the season, this is the beginning of a crucial three-game stretch for Indiana. The Hoosiers will be solid favorites in each of the next three contests and with the loss to Indiana State, can’t afford another slip up. The key numbers to watch on Sunday are straight forward: Number of 3-pointers made (and percentage) for South Florida and number of turnovers (and turnover percentage) for the Hoosiers. I expect a tough game. It shouldn’t be tough. USF is terrible and has nowhere near our talent level. I have relatives there and have seen them play. Learning a new system is a nice convenient excuse, and would have some merit, if we didn’t have a HUGE talent advantage, like we did on ISU. Do you realize they have lost to Auburn and Old Dominion by 20 and Scott, who burned us for 24, has had 3 points in each of those games? New system or not, the upperclassmen need to take control of these games, lead by example, and have the will to compete and win. A new system doesn’t keep you from guarding, throwing good passes, and shooting free throws, three things, among others, that we have not done well. I believe too that we will be much better by mid-season, but for now I’d like to see us compete with an attitude that says we refuse to lose. At least the next 3 games. One follow-up. Morgan State beat USF by 10. The last score I saw tonight had West Virginia ahead of Morgan State 70-24. If our game with USF is close, it’s not a system problem. That is already happening. Do you actually watch the games? That kind of analysis: a beat b by 20 and b beat c by 20, so a should beat c by 40 is proven wrong every week! Get s new idea! The focus now is on us, IU, can we do what the coaches want? Not on talent! that’s not exactly what she was saying. It does matter how these teams play each other and is interesting. It means that this USF team (also with lots of new players and a new system) isn’t likely to play very well against IU. You can see that by their own season and how the stregnth of their own opponents comparatively. It can’t be simply dismissed so flippantly. Have some fun and no injuries. Great comment. Just my opinion, but hope Archie is Bob Knight’s younger clone with a bit softer edged. Therefore, I don’t think Archie is going to be the one changing. Sticking to his program, communication skill and knowledge of the game gives me hope of Archie bringing IU back to a more enjoyable basketball viewing level. Have you seen them play this season or in previous years? Get’em girl. You certainly make good points. I think Archie will get them there. Right now he seems to be tolerating RJ’s generally poor performance because of the effort he’s putting out… Hopefully with a few more games the comfort level with the new system will increase and with it, confidence and shooting %. Agree, how long have we been hearing “get better each and every day” and not really see improvement. At least now we are seeing improvement! Completely agree. So what constitutes ‘progress’ tonight? Pretty tough situation for the upperclassmen. They join a blue chip program on an upward trajectory and then everything gets thrown into chaos a little bit what with the last year of the TC era and then the need to learn a completely new system under a new coach. I think our seniors are a great bunch and I hope that’s recognised in their legacy however far they come under the new regime. There was a lot of talk about Archie changing the starting line-up after ISU based on assumptions about attitude, lack of effort, etc. He didn’t, which speaks volumes. It’s a great point. When this group really starts enjoying playing again – and not playing with such a high level of pressure and expectation – then we’ll be making progress. I hope we win these next three, the next 5 I expect to win 1. 4 – 4 next 8. At the final 6 minute mark in that SH game, IU was only down 10. That’s not a blowout, not up to that point anyway. After that it really got away from us though. It might be difficult of De’Ron to stay out of foul trouble seeing how he has to go up against a 6’11” and a 7’2″ centers. Depends on how well those two play, but I’m hoping the DD simply owns those guys. Vernon, I certainly wouldn’t go so far as use “generally poor performance” to describe Robert’s play. Archie isn’t “tolerating” RJ, he brags on his defensive performance, his attitude, and how he plays within Arch’s system better than everybody else. The only part of RJ’s game that isn’t really there, is his shot, they just aren’t falling like they did at the end of last season. His shooting will come around, I am sure of that. If you’re tracking when we contradict ourselves I could be in deep trouble. A new system absolutely can keep from throwing good passes and guarding well. The defensive rotations change, where people are expected to be on offense changes. I will be back as a fan once I see kids getting benched for lack of effort. It may be time for a new head coach….. I really hope De’ron’s not going to be spending any more time on the perimeter. Our ball movement has looked really good at times going through him in the paint and that’s the main thing I want to see us sticking to – the shooting will come! Get out. You know someone would tell you that. I assume the 1 is v Iowa. At half time in this one, I’ll take that. Second half better but I am sticking with my prediction. Yep Iowa. I agree mostly with what you’re saying. Tolerating was a poor word choice. I had heard Archie express confidence in Robert coming around. There is an issue with turnovers; Robert’s had at least 3 in each regular season game except Howard. He certainly got his shot back last night! Love to see him shoot in rhythm.